Paytm Introduces Digital Food Wallet; Will Compete With Sodexho Food Vouchers! Most employees, especially in IT sector, know Sodexho food vouchers. They are a small, yet an integral part of the salary. These food vouchers are used not only to dine in restaurants or canteens but also to buy groceries and other household items. However, these physical paper-based vouchers have a disadvantage. They tend to get lost, soiled or even get expired if kept unused for a longer time. By some estimates, over 60 Lakh Indians struggle to file their food voucher claims every year. Now, India’s largest mobile wallet company Paytm has come up with a digital solution, that is easier and sans disadvantages of a physical voucher. Paytm has introduced Paytm Food Wallet, within their main Paytm app, that can act as digital food vouchers! Being in digital format has many advantages. Firstly, employers can instantly transfer the food allowance amount directly to their employees’ food wallet even if they are located in any part of India. This does away with all the hassles of physically procuring, handling and distributing bulky coupons and cards. 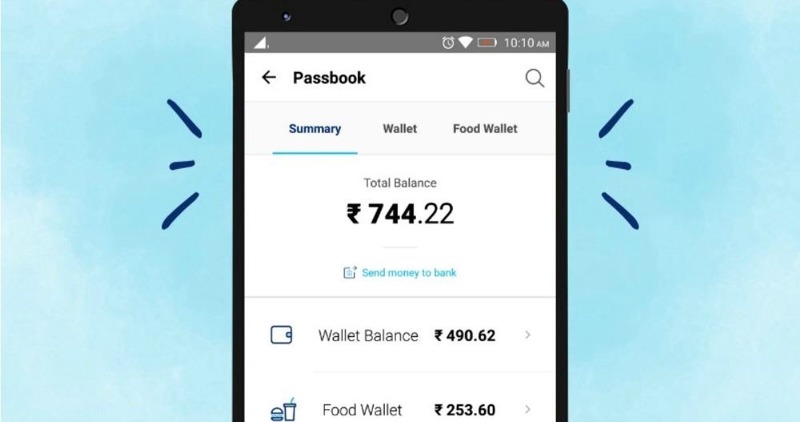 Employees just need to go to the ‘Passbook’ option on their Paytm apps to find their Food Wallet balance. They can easily use the balance at office canteens and a wide range of online as well as offline merchants. The list includes KFC, Burger King, Zomato, Pizza Hut, Café Coffee Day and Big Bazaar among others. In addition, Paytm promises to offer exclusive deals, discounts and cashback! Employers can instantly transfer money to food wallets of employees based anywhere in the country without any hassles of procuring, handling and distributing bulky coupons and cards. In regards to the security, Paytm Food Wallet comes with the complete suite of in-app security features available on Paytm such as app lock password, two-factor authentication and passcode among others. One of the biggest advantages of Paytm food wallet is that your balance on wallet never expires, you can use it anytime you want. You can check out this video to understand more about Paytm Food Wallet. In our view, Paytm has done well to introduce this feature. Paytm Food Wallet has a clear advantage over physical food vouchers for the company as well as for their employees. It reduces hassles, is simple to use and is secure. Sodexho has a near monopoly in this space, but with Paytm Food wallets compelling offering, they should be definitely worried. It’s a clear case where, Sodexho did not adapt with the changing times, and someone else has taken advantage of that! Would love to know your comments! "Paytm Introduces Digital Food Wallet; Will Compete With Sodexho Food Vouchers! ", 5 out of 5 based on 1 ratings.